FREEZING RUSSIA OUT of the WORLD ECONOMY, LITERALLY. 5 million Russians are now homeless as in 2014, Russia is in a major DEPRESSION. 1 MILLION OF THE HOMELESS are CHILDREN. America is selling gas so cheap that PUTIN cannot sell RUSSIA'S OIL. They are going broke. 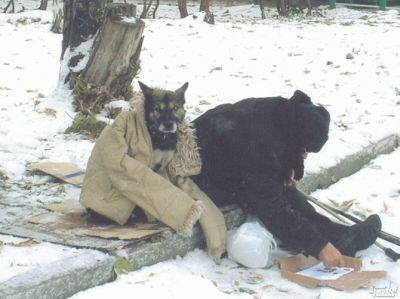 5 million Russians are homeless, 1 million are children. AMERICA (with Saudi help) created NO RECEIPTS FOR RUSKI OIL ANYWHERE, i.e. an Economic 'Crashki' via a PRICE War! WE FROZE A MILLION HOMELESS CHILDREN TO DEATH. THEY STARVED and their pets were out there in the blizzard with them! mere $50 to $60 a barrel rather than the earlier price of around $100. LOBSTER VILLAGE will be empty of tourists, hotel rooms half price! OR drive south to the tropic WHITE BEACHES with COCO PALMS. SO that AMERICA CAN KILL MORE RUSSIANS BABIES! trading. The result is a market panic that is gaining momentum daily. 50% of Russian state revenue comes from its export sales of oil and gas. Central Asia or forfeit its top-spot as the world’s only superpower. This is why US policymakers have embarked on such a risky venture. Bank for valuable raw materials, manufactured products and hard labour. dismal prospect of either selling assets at firesale prices or facing default. collapse the weaker institutions and tip the system back into crisis. liquidity is drying up fast which is accelerating the rate of decline. the glorious New World Order? It certainly looks that way.